There was a theme of celebration across the school today as we began another exciting week! The morning began with the children from the Foundation Stage and KS1 gathering in the hall in order to reward our latest ‘Reading Champions’. Children from each class were presented with bronze, silver and gold badges, the latter in front of proud parents and other family members, in recognition of their reading efforts at home. Well done to all of the children, we are proud of you! In the ‘Reading Champions’ assembly, the younger children were told by Mr B all about the achievement of the boys table tennis team at the weekend. 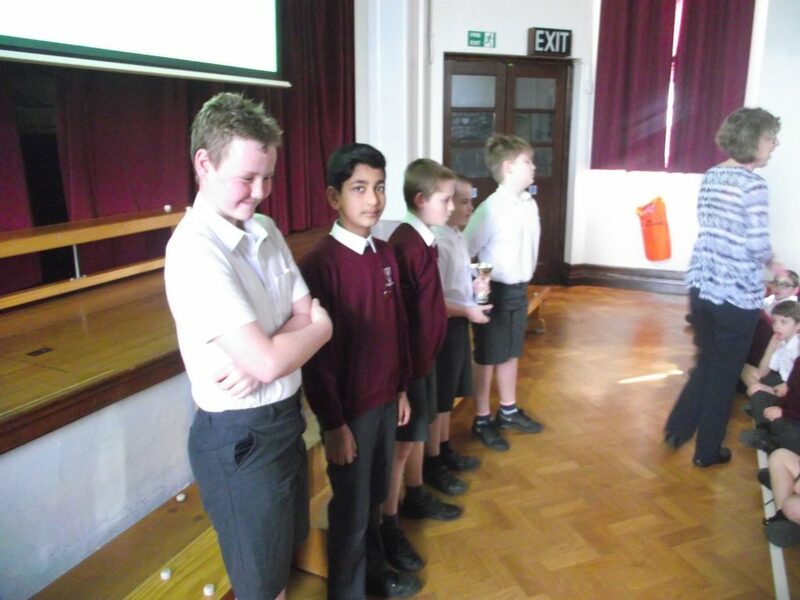 In the upstairs hall the children in the KS2 assembly congratulated the team on their huge success, with Miss Ellacott detailing their journey to become champions of England! The assembly linked their efforts and achievement to the school motto ‘Celebrate, Challenge, Achieve’ and the children were given a huge round of applause! Well done children, we could burst with pride! In the afternoon there was plenty of PE action taking place across the school. On the playground Mr Cann worked with Hawks to develop their passing skills linked to tag rugby whilst in the downstairs hall Mr Geach taught the Foxes dance, incorporating scarves into their movements. Whilst the children in Owls created wonderful Fire of London works of art, outside the children in Foundation Stage used their ‘Forest Friends’ sessions to bug hunt, create imaginary wooden worlds, investigate new signs of plant growth and follow trails. ← Stars of the Week!